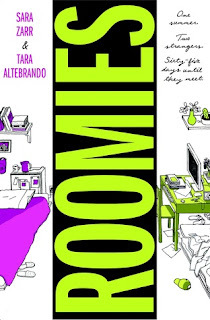 Roomies by Sara Zarr and Tara Altebrando follows two future Berkeley roommates over their last summer at home. The first email starts with who is bringing the microwave or the fridge, but soon the conversation turns personal. EB lives with her single mom in a Jersey shore condo while Lauren shares a bedroom with two of her five younger siblings in California. Lauren had hoped for a single, and EB dreams of a sister-like bond. Divergent expectations and over-sharing lead to problems before the girls meet in person. Roomies captured the anxiety and thrill of leaving for college. It felt fresh to have the central relationship of a young adult novel be between two girls. EB and Lauren were well rounded characters with quirky interests and believable faults. Alternating chapters made good use of two authors. The voices were distinct and true to teens. "Lauren's starting to sound sort of, I don't know, nice? And thoughtful. Not like do-nice-things-for-you thoughtful- I don't see her baking cookies or anything-but meaning, she is full of thought. I like people who think. Who examine things from all the angles. That's probably why she's good at science." Lauren's boyfriend, Keyon, is a typical guy. He lost his roommate letter and didn't bother to contact him. His relationship with Lauren is stuck somewhere between friends and something more. Their racial differences - Lauren is white and Keyon is black - add some tension. Their parents bend over backwards to appear open-minded with comic results. The downside of making biracial dating a big deal to Lauren was that Keyon's character was over-defined by his race. Still, Keyon was my favorite character, and I liked Lauren more for liking him. By contrast, the guys in EB's life felt two-dimensional. Her boyfriend, Mark, was too good to be true. How many teenaged boys offer unconditional love and silver necklaces from Tiffany's? Mark's sweet manner stood in sharp contrast to his adulterous father and EB's deadbeat dad. I appreciated how EB's dad being gay was not the issue, but more explanation was needed on why he cut off all contact with his daughter. Men were an enigma in Roomies, but one could argue that this was true to the teenaged girl perspective. My freshman roommate Bonnie was my first friend at college. Reading Roomies took me back to the summer before college. After getting contact info for my three roommates, I chatted with Bonnie in New Jersey and Julie in Ohio, but I didn't call our roommate in Massachusetts. Deb had attended a boarding school in her home town. Attending Harvard would be like me staying back in New York City to go to Columbia. Before meeting Deb, I dismissed her as a dull homebody. Deb breezed into our freshman suite, her sari fluttering and a gold stud glinting in her nostril. Her blond hair was twisted into a top knot. She'd just returned from two years of traveling and working for orphanages in India and in Bangladesh. Her British parents (her father taught ethics at her school) had encouraged her to take a gap year. Deb served afternoon tea and entertained us with her stories. 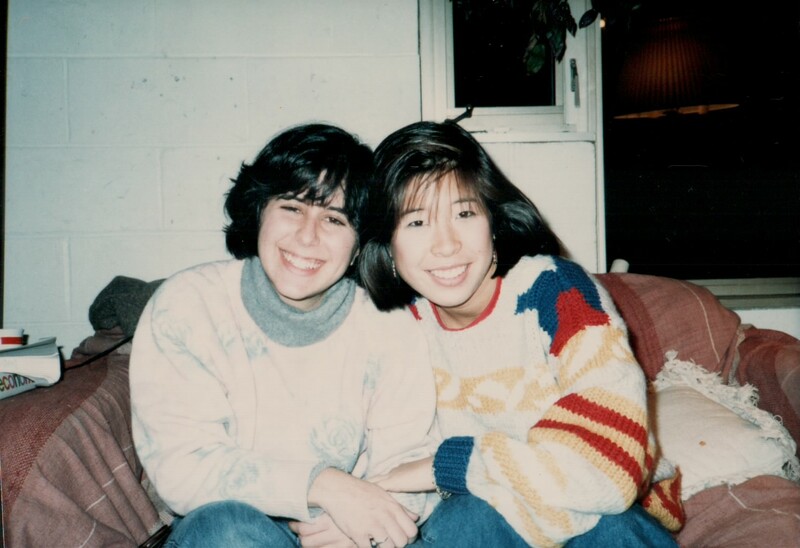 When it came time to pick a roommate for sophomore year, Deb and I joined up with Sarinah, the girl in the "psycho single" next door. We are still close friends. Toss those preconceptions! Similar book: Fangirl by Rainbow Rowell. Next week I'll be posting a best books of 2013 list, focusing on realistic fiction for adults and teens. 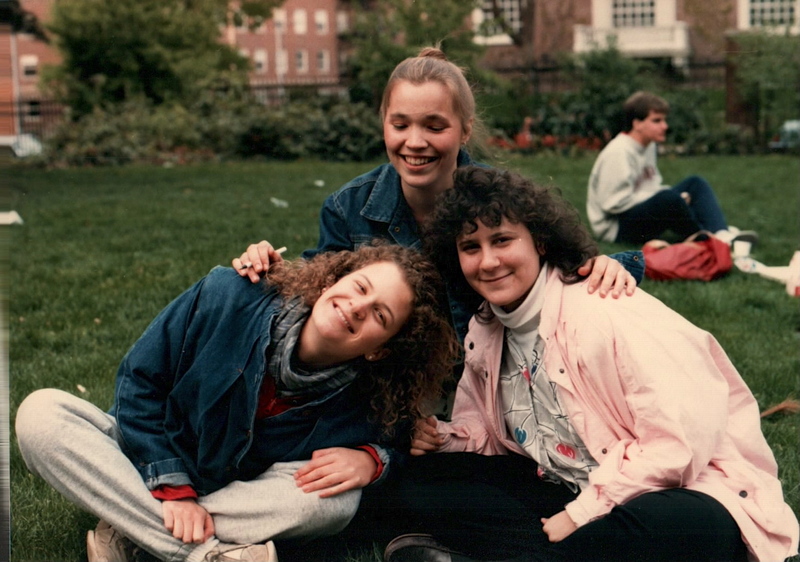 My other roommates: Sarinah, Deb and Julie in Harvard Yard. What was your roommate experience at college? 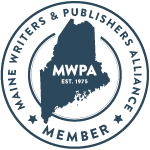 Reviewer's Disclosure: I received a free digital galley from Netgalley. Oh man, this makes me long for freshman year and all its craziness. I've got a "new adult" story I worked on, put away, and would like to get back to. Maybe reading this one will help. Thanks for the great review. Love how you personalized it! Thanks for sharing your old pictures!! This does sound like a book I'd love. Books written by two authors fascinate me. I'm still friends with my first roomie. Not so with the woman I shared an apt with for my Master's. Thanks for reviewing! And happy holidays! Sounds like a good read, and one that brings back lots of memories. And I can relate to the fact that the male species is an enigma at any age! Sounds like a great book for teenage girls, especially those heading off to college soon. This reminds me more of my granddaughter's recent experience as a freshman--she and her roommate wrote each other before school started, but discovered when they actually met they were total opposites! Thankfully she's made some other friends. Thanks for noticing my broken link, Sarah! It was a busy day yesterday...This retirement, and caregiving, isn't for chumps! Sarah, you always take such an inventive approach to your reviews! It was fun to put ROOMIES in context through your own experience. Sarah Zarr's a bit of a rock star in my mind, and I'm glad to put Tara Altebrando on my radar. Thanks for this! Sounds like a good book! I love the college pictures. That time of life always makes me nostalgic. My freshman year roommate was from Philadelphia, and we were very different in a lot of ways, but she was hilarious and our silly arguments still crack me up. Though we're rarely in touch, we're still friends! All, amazing coincidence: Tara and I figured out on twitter that we overlapped at Harvard. We were both gov't majors and contributors to The Independent weekly newspaper, but we never met. It's a big campus but a small world. Book review club, I really enjoyed your reviews too. Rose, I was wondering how your granddaughter was doing in college. It's good to hear that she's making friends. Donna, that does sound similar since Penn is in Philadelphia. Ah. To be that young again with the whole world out in front of you. My mom wanted me to become a Methodist minister and my dad to follow his path into banking. Naturally I chose neither (sort of) Giant Univ. of Minn. was a "commuter college" where I found my path initially working in a juvenile detention facility. Reading your review took me back to my first year at uni. The newness of it all, the challenges. It's fab time for youngsters, but it's also a time full of trepidations and learning curves. Great review and an enticing read. 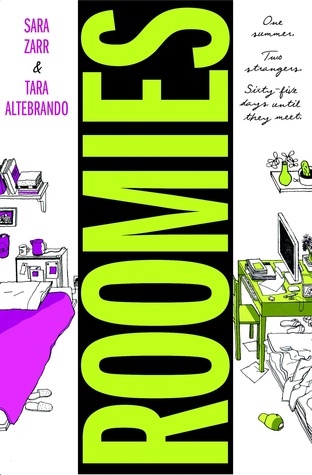 I love the story of your college roommate experience almost more than the book! As you mentioned, in life it's important to toss out preconceptions, and it seems the novel capitalizes on the effects of this proclivity. I arrived several days late to college, missing orientation due to a (obviously poorly timed) family trip, and my roommate began to wonder if I would ever appear. While looking through her yearbook one day, I noticed photos of a cute boy from her high school who also attended our college. I made a point of finding him one evening in the library, and several decades of marriage and two kids later, we have been together ever since. Thanks to my roommate! Troutbirder, teaching school and working with at a juvenile detention center are most admirable vocations and benefit society too. ACIL, yes, this book took me back. Gloria, foreign rights might sell later. Amanda, what a romantic story! I have a similar story. My parents planned a family vacation a year in advance so I missed the freshman outdoor experience (camping before orientation). I met my husband during my junior year at college. He was taking graduate courses at Harvard. That's a super pic of you, Sarah. Great suggestions, Sarah! I don't usually buy books for adults as gifts, opting instead for book gift cards for the avid readers in my family. Your post has inspired me to make the gifts a little more special. With the gift cards, I will include a copy of some of your reviews and a suggestion to check out your blog for more ideas. w2w, I'm glad to hear you give book gift cards. I hope my suggestions are helpful.